Many people ask me how authors make it. What causes author X to be a bestseller? Was it a special trick of the light? Was it luck? What causes success? I’ve explained many times that consistency is one of the most important ingredients to success. The ability to push your books with consistency is crucial to the success of having your book read by the reading public—but the other key ingredient is purpose. I want to talk a little about purpose here. I knew a man who retired. He didn’t want to retire, but he retired because he was deemed useless. The day after his retirement commenced, he took to his bed. He was finished. Done. He was waiting for God. His purpose was gone. He had spent many years in the aerodynamic industry and had untold wells of knowledge—yet his knowledge, his paychecks, his career hadn’t saved him from becoming a man without a purpose. One day, he rose from his bed and decided that he had to find a reason to live. He applied for jobs, but was told that he was too old. Too old at 60. He decided to start a business, and it succeeded—but it didn’t give him purpose. He travelled the country—but never found purpose. He wrote a book and his purpose was found. He vowed to spend his whole life in one place, doing one beautiful thing—he would write until he died. I met this guy a few years ago, and his purpose inspired me. Because his purpose and my purpose overlapped. He wanted to spend his whole life writing—and I wanted to spend my whole life pushing and promoting the work of others. His books didn’t immediately take off, but over time, they grew and became bestsellers. He is now an award-winning author who has written a slew of bestsellers. His purpose is still as strong as ever. It is human nature to want to wither and shy away from challenge, but it is the spirit of man that causes us to seek out purpose and create new goals, and reach for new achievements. The greatest thing about my job is the opportunity. The opportunity to help people find their purpose, to revel in its glory and achieve their dreams. It is truly my belief that “if you can dream it—you can achieve it,” and I don’t believe anyone was born to be without purpose. So I have a question for many of you reading this article. 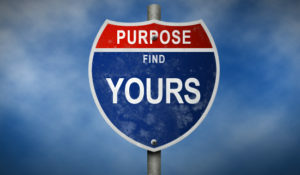 An important question—do you have a purpose? Is your purpose to stay in one place, doing the one thing you love? Is your purpose to write Westerns like the fella we talked about just now? If it is, then I’d like to meet you because I don’t believe our meeting was a coincidence. Are you in need of a purpose? Are you unsatisfied with the way your books are being accepted? I truly believe our purposes can help each other out. I believe we will find mutual satisfaction in our friendship. I believe in you—but do you believe in yourself enough to reach out to me? Do you believe in your purpose? Are you ready to realize your dream? If you are, you can reach me through the contact form below. I hope you’ll join me.